If you are proud of your opinions and your beliefs, then you need to show it. 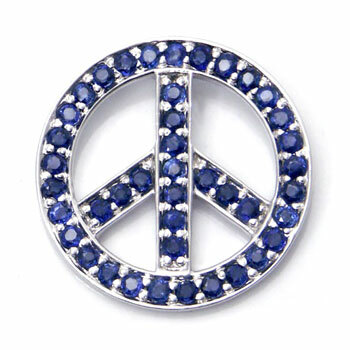 This pendant is a good way to show everyone your peace-minded way of thinking. Furthermore, there is nothing wrong with looking stylish while expressing how you feel. This pendant is created with white gold and deep blue sapphire gems, which will make you look absolutely gorgeous.